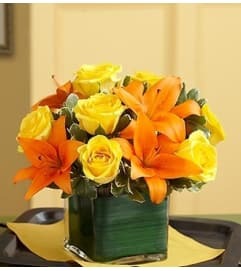 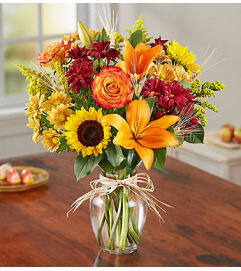 We’re excited to present a delightful new autumn arrangement! Inspired by floral designer Elisabeth Stanley Jones of 1-800-Flowers | John Wolf Florist in Savannah, Georgia, it’s a bright and bold celebration of fall with an unexpected surprise. 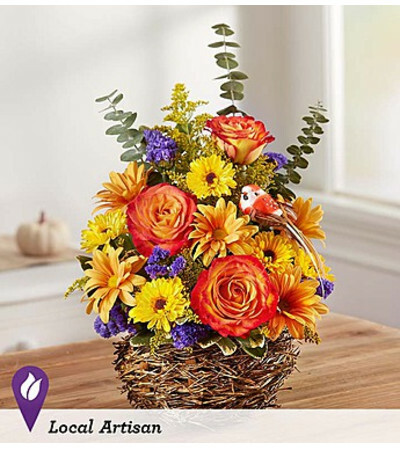 Nestled among the richly colored roses and poms is a playful bird peeking out. 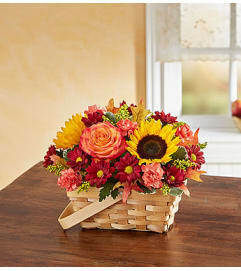 It’s all gathered inside a charming bird’s nest basket for a truly unique seasonal gift they won’t soon forget.